Contemplating whether to repair or replace a broken item in your home? At face value it may appear that buying something new is the easy option and avoids the perceived ‘hassle’ of getting a repair done. However, repair can often be far less disruptive than replacement, which is often a much more complicated process than you might think. Gary Danson, Director at Plastic Surgeon, the UK’s largest surface repair specialist, explains why. Taking a bath as an example; a crack running down its interior may look like it’s been rendered useless, with replacement a given thanks to it having lost its waterproof properties. However, there’s actually a very good chance a repair specialist can fix it. With years of experience in the trade, specialists are well versed in this kind of repair; undertaking damage assessment before using specialist compounds and fillers to repair damage. This is then followed by re-profiling to create a smooth finish, which is colour matched and recoated. Adding a final coat to match the sheen leaves a seamless finish, and a bath that’s practically as good as new. A specialist’s colour matching capabilities means any colour is feasible – so there’s no worry that repair work will stand out. 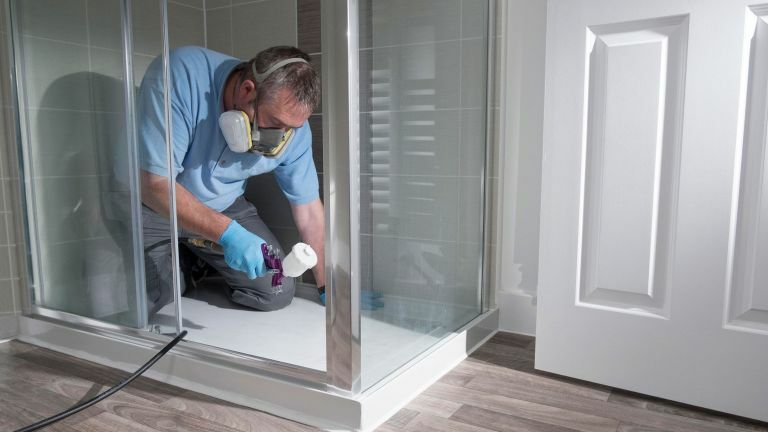 Opting for a new bath, however, usually involves waiting for delivery, as well as a plumber to install it, while there’s also the potential for tilers or plasterers to complete its surrounds. Involving multiple trades isn’t cheap either. A repair specialist often has multiple skills rolled into one – so they’re able to repair brick, stonework, concrete, metal, glass, ceramics, wood, plastics and more. They’re also able to work discreetly in situ, minimising disruption. Then there’s also the environment to consider. A new bath often means the old one heads to landfill. Last year, Plastic Surgeon’s repairs saved 3,474 tonnes of waste from heading to the tip; the equivalent of more than 260 double decker buses. With the public becoming ever more environmentally conscious, reducing waste is getting renewed focus. Opting for repair over replacement is a great contributor towards a greener outlook. The bath example aside, repairs can be required (and conducted) practically anywhere in the home – kitchens, bedrooms, bathrooms, living rooms, dining rooms, and the exterior. It’s even possible to practically transform the outside of your home by respraying windows to any colour. Plastic Surgeon can, for example, respray old white uPVC windows into fashionable anthracite grey windows – all at a fraction of the cost of replacement. We can also restore exterior stone sills or brickwork, giving your home a makeover with far less disruption to both your home life and your wallet, than would be the case if you opted for replacement instead.